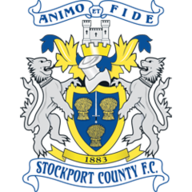 Southend will give debuts to a host of new signings while Stockport could include five summer signings. Southend will give debuts to a host of new signings when they begin life in League Two against Stockport. But new manager Paul Sturrock is set to be without injured defender Peter Gilbert for the clash at Roots Hall. The left-back is struggling with an ankle problem sustained in a pre-season friendly against Derby and is likely to miss the first few weeks of the new season. Sturrock will only have one other absentee in the form of suspended midfielder Ryan Hall. The winger is unavailable after picking up a red card late last season while he was still at former club Bromley. 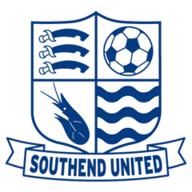 The Shrimpers were boosted this week by the news they had avoided administration, allowing them to complete full moves for 17 players signed on pre-contract deals. New Stockport boss Paul Simpson could include five summer signings when his side begin their League Two campaign at Roots Hall. Mansour Assoumani, Mark Lynch, Jordan Rose and Barry Conlon have all arrived at the club since the former Shrewsbury boss took the helm last month. Simpson has also brought Plymouth Argyle striker George Donnelly back to Edgeley Park on loan until January. The 22-year-old has agreed to return to County after scoring four goals in 19 appearances for the Hatters during a five-month loan spell last season. Rose is likely to start on the bench but Assoumani, Lynch, Conlon and Donnelly could all be handed starting roles. Midfielder Matty Mainwaring remains the only injury absentee after he suffered a knee injury in a behind-closed-doors friendly during pre-season.